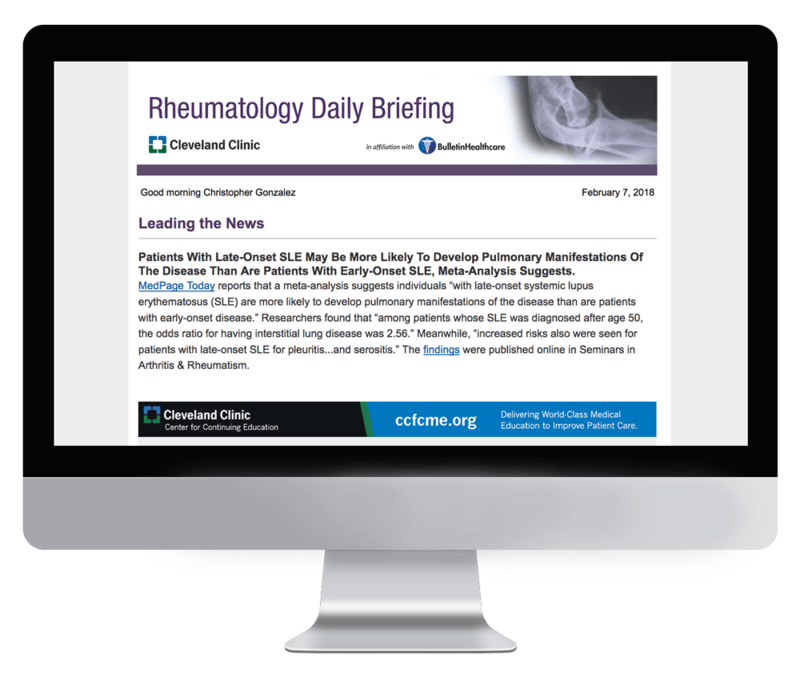 Published in partnership with the prestigious Cleveland Clinic, Rheumatology Daily Briefing provides U.S.-based rheumatologists with a concise and accurate summary of all the news affecting their specialty. Sections of the briefing include: Leading the News, Drug and Device Updates, Health Policy and Legislation, and Featured Research & CME from the Cleveland Clinic, which ranks No. 3 in the nation in rheumatology, according to U.S. News & World Report.